“Our mission is to reduce the consumption of energy and integrate the use of new technology so that we will reduce emissions, help our planet and provide comfort to the air you breathe”. 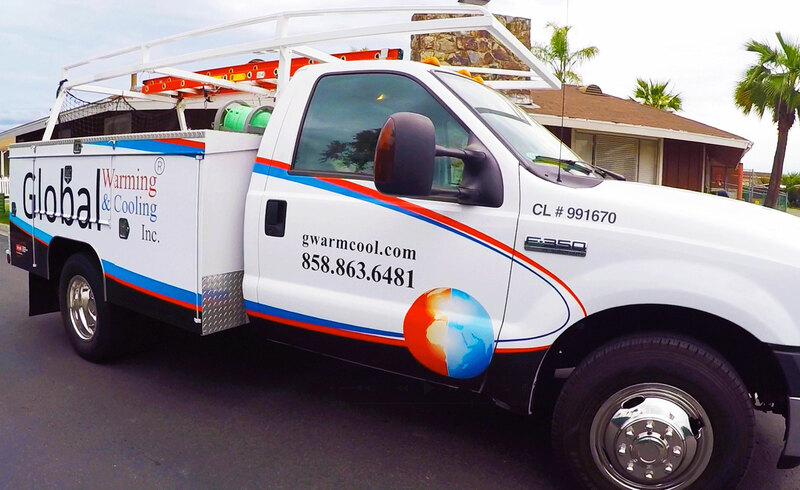 We are a family owned and operated licensed heating, ventilation, and air conditioning (HVAC) company located in San Diego, California. We are an innovative heating and cooling company, servicing every industry and trying to reduce energy consumption. In addition, we have experience in blueprints, design, building and have been involved in many innovative projects in several industries. We use modern diagnostic tools and strive on improving and innovating the HVAC industry. We provide services for both residential and commercial. Our goal is to effectively communicate, listen and gain your trust. We know how hard it is to have to hire someone to come to your home and fix something you may know little to nothing about. We know the extent it takes someone to have to find someone you can trust and will be honest with you. That is what separates us from the rest. We treat everyone like family. We sell at wholesale prices and we take our time and explain in detail and show you first hand. Our licensed technicians take their time and show you. No need to wonder if the person you hire is telling you the truth or not. We have homeowners who want to follow the process and our technicians walk them through everything if that is what they want. With wholesale prices, we show our customers first hand. We listen and communicate to all their needs and wants. Hi, my name is Daniel Hernandez and I started doing HVAC since I was eighteen-years-old. I fell in love with the mechanical design of it. I have over twenty years of experience. Furthermore, I learned to blueprint, design, and build working for Qualcomm Inc. I have been a part of many projects for companies and corporations around San Diego. I enjoy every aspect of the HVAC industry. I make sure all the men on my team are licensed, background checked and have a passion for HVAC as much as I do. It sounds funny to hear someone have a passion for HVAC, but I do. We are a family owned business operated by my wife and me. Our mission is about providing comfort to the air you breathe so that you can live a comfortable and happy life. Above that, we care deeply about allergens and toxins. Whatever your need is, we got you covered. We work hard to ensure that all our service and products will provide you with years of reliability. We back up our satisfaction guaranteed policy. We always make sure every customer is more than satisfied. We hope you pick us next time you need any type of HVAC service. We look forward to meeting you!